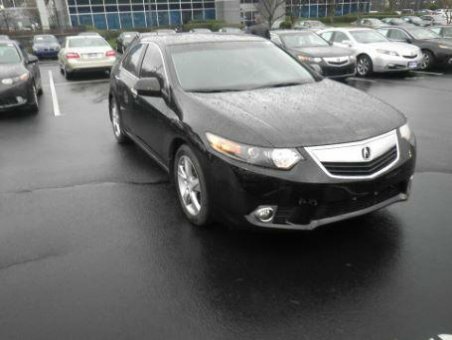 Enjoy an extra level of confidence when purchasing this TSX 4dr Sdn I4 Auto Tech Pkg, it's a CARFAX One-Owner. This is a wonderfully styled, fuel-efficient Acura TSX. With less than 45,419 miles on this Acura TSX, you'll appreciate the practically showroom newness of this vehicle. Intricately stitched leather and ergonomic design seats are among the details in which test drivers say that Acura TSX is in a league of its own The TSX 4dr Sdn I4 Auto Tech Pkg has a navigation system installed, so you'll always know where you're going. This top-tier navigation system is reliable and will get you to your destination quickly and by the most efficient route available. Rare is the vehicle that has been driven so gently and maintained so meticulously as this pre-owned beauty.